28 January 2014 is the 25th anniversary of the passing of the 10th Panchen Lama. 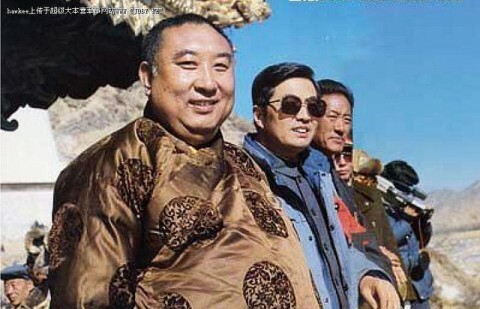 The photograph on the right shows the 10th Panchen Lama with China’s former President Hu Jintao, at Tashilhunpo Monastery in Tibet on 23 January 1989. 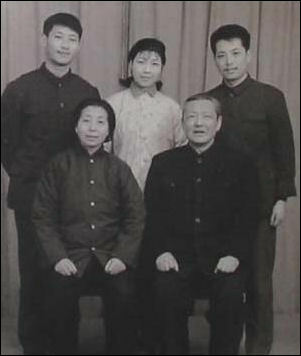 The Panchen Lama died just five days after this photo was taken. This blog discusses Xi Zhongxun’s eulogy to the 10th Panchen Lama to see what clues it provides to Xi senior’s true attitudes to the Tibetan people. The original text can be found here, and the text with full translation here. Brevity seems not to be a quality much appreciated in China’s media but it is noteworthy that besides the lengthy descriptions of significant events, such as the 17 Point Agreement, the Tibetan Uprising of 1959 is dismissed in a couple of sentences, and the escape of the Dalai Lama to India is not mentioned at all. Interestingly Xi senior does not offer any criticism of the Dalai Lama, but he does refer to the Party’s mistakes in Tibet, and alludes to the Panchen Lama’s and his own periods of persecution and imprisonment. Naturally, this being one of Tibetan buddhism’s most senior leaders, the 10th Panchen Lama was indeed reincarnated, but that’s a whole other story….